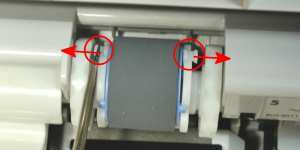 Easy to follow installation guide for RL1-0019-000 Pickup Roller, used in Q2429A maintenance kit. 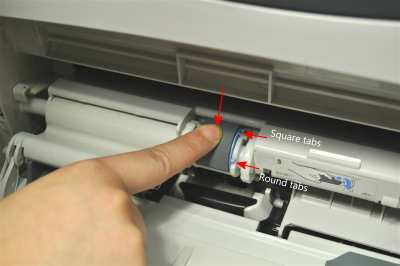 Q2429A maintenance kit is specifically designed for HP LaserJet 4200 printers. 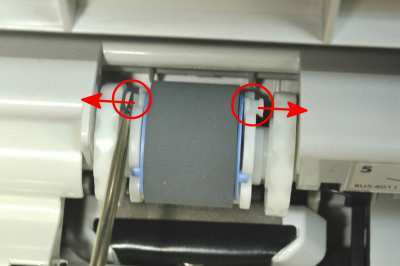 Remove the cover from the envelope feeder slot by pulling it straight out. Use your fingers or two flathead screwdrivers to pry outward on both of the tabs at the same time to free the pickup roller. When you replace new pickup roller, snap the round tabs in first and then the square tabs.